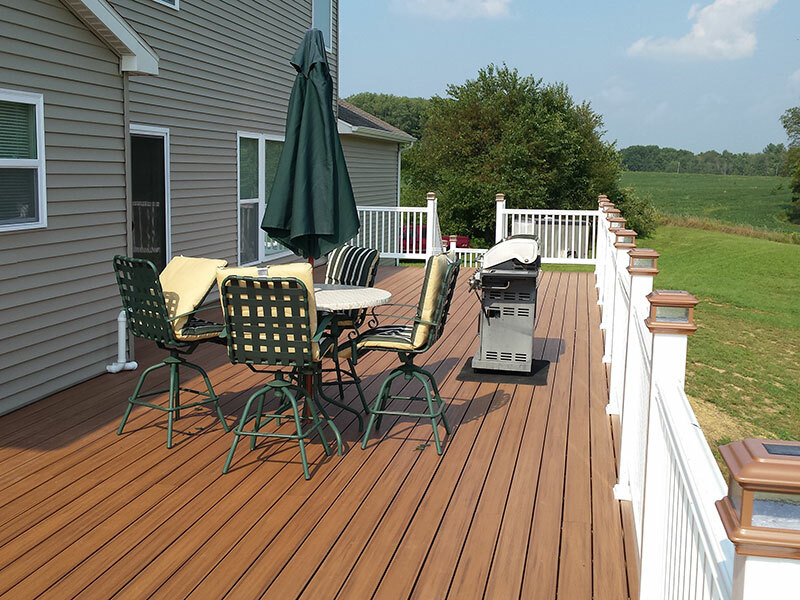 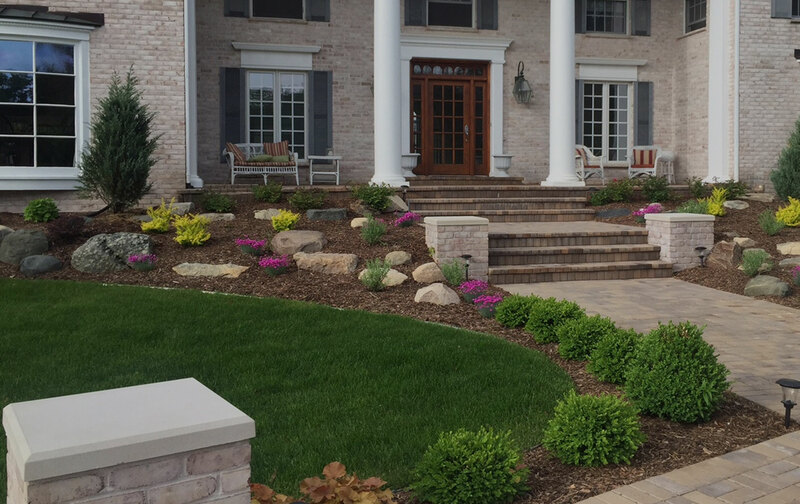 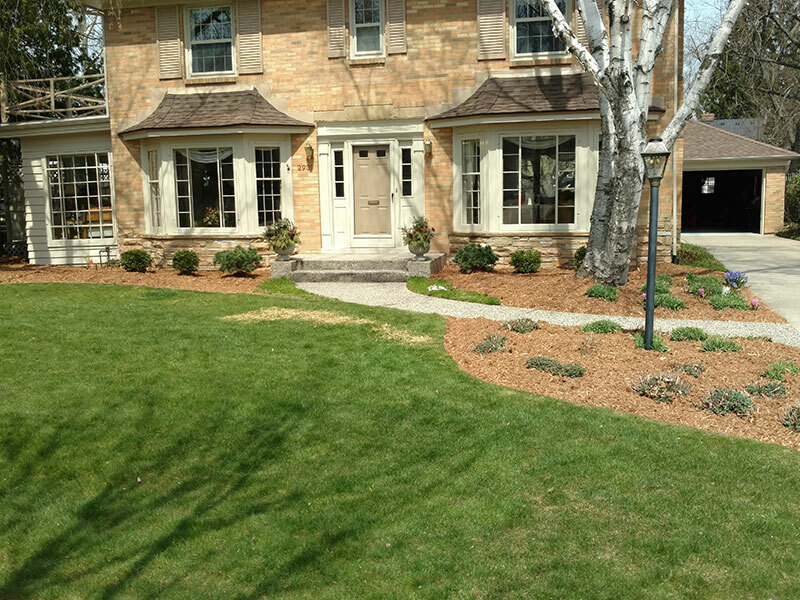 Relying on more than a decade of service in West Michigan, the Caledonia landscapers at KV Landscapes proudly offer homeowners and businesses a full range of professional landscaping services — highlighted by inspirational, unique and innovative landscape designs. 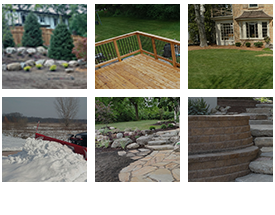 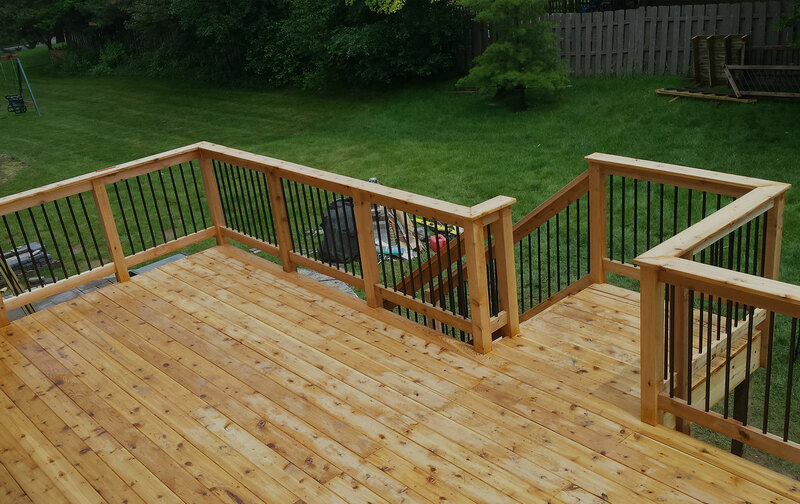 From complex outdoor hardscapes and backyard patio stonework to mowing, maintenance and snowplowing, the experienced and dedicated team at KV Landscapes wants to help you improve the look, feel and function of your residential or commercial property. 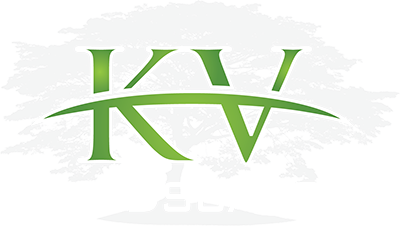 The dedicated team at KV Landscapes creates detailed drawings and plans, working with you to envision the outdoor project of your dreams. 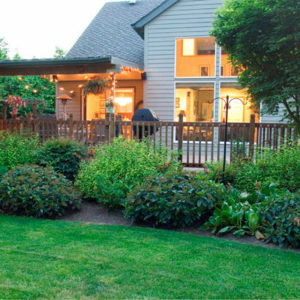 We shape your property to create an outdoor environment that matches your lifestyle and improves your home’s value — without breaking the bank along the way. 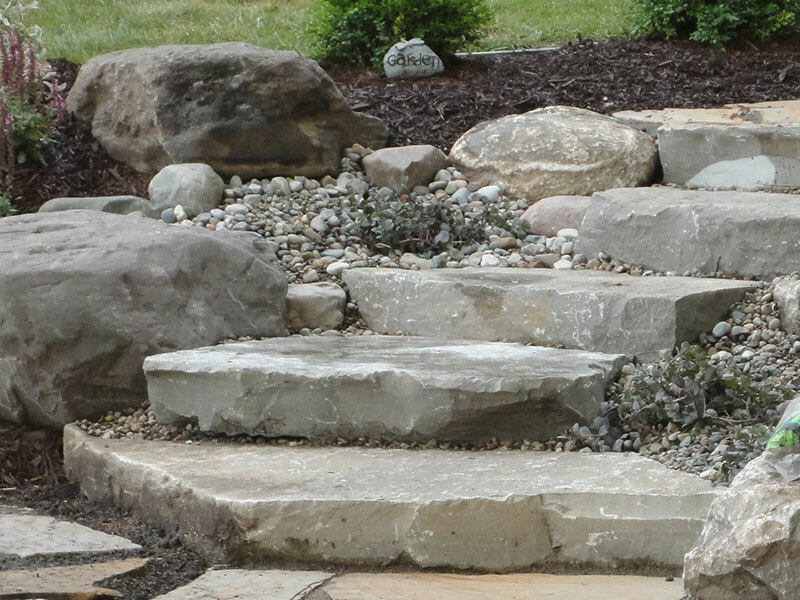 Our experienced landscapers offer hardscape and softscape services in landscape design, as well as lawncare and maintenance services. 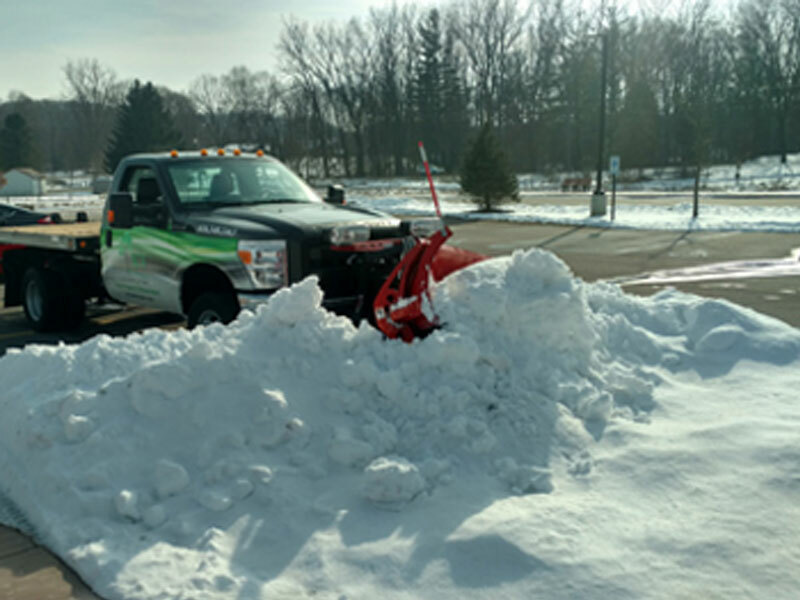 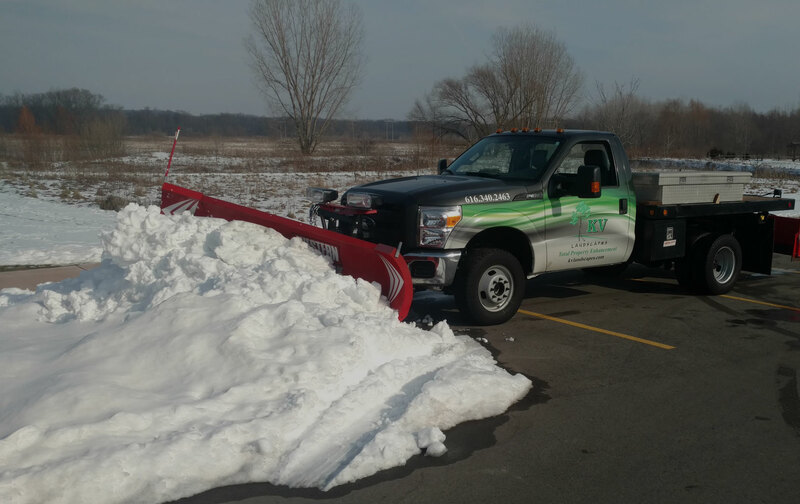 When many other landscaping businesses pack up for the winter months, we’ll gladly come out for snow plowing services to lighten your burden when the elements complicate daily routines. 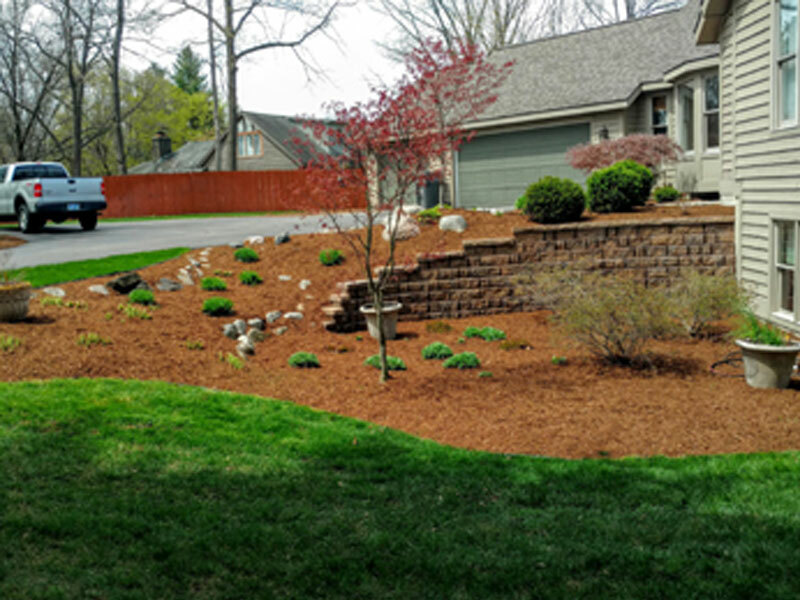 Whether for your home or for your office, we strive to offer unmatched service for every aspect of lawn care and upkeep — regardless of the weather or the season. 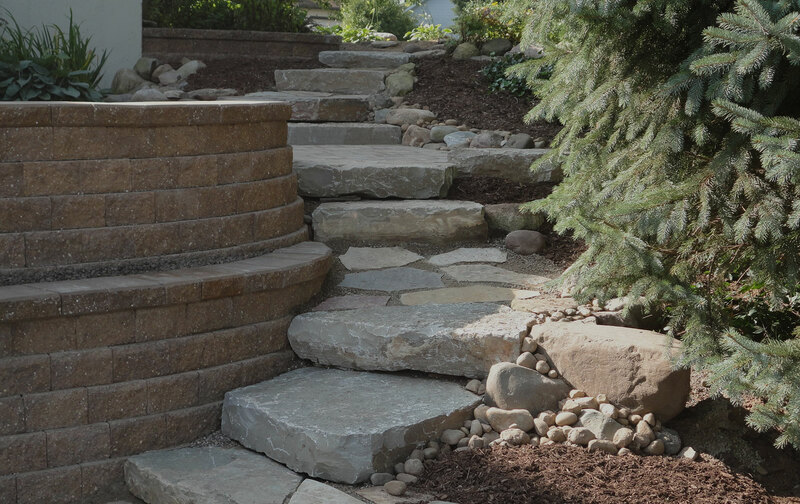 From initial design to implementation, to maintenance and assuring that your property remains eye-catching year after year — KV Landscapes will work with you for the long haul. 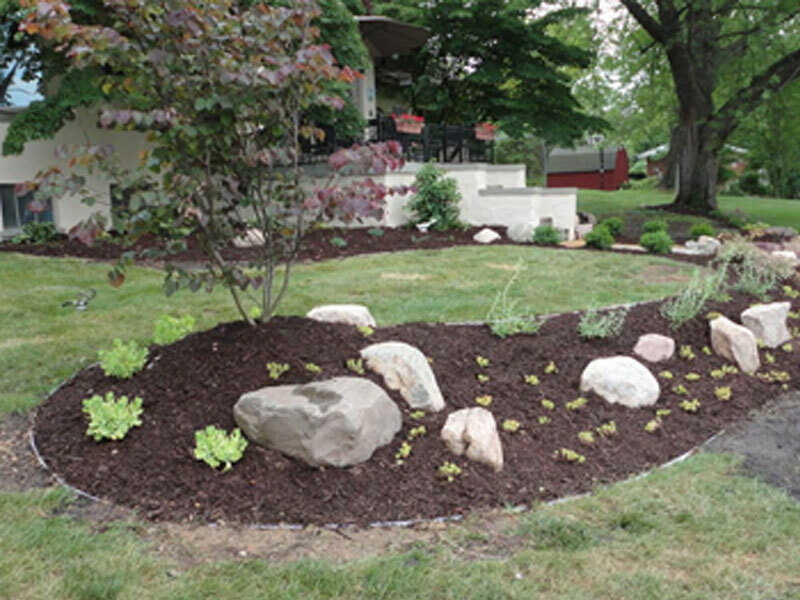 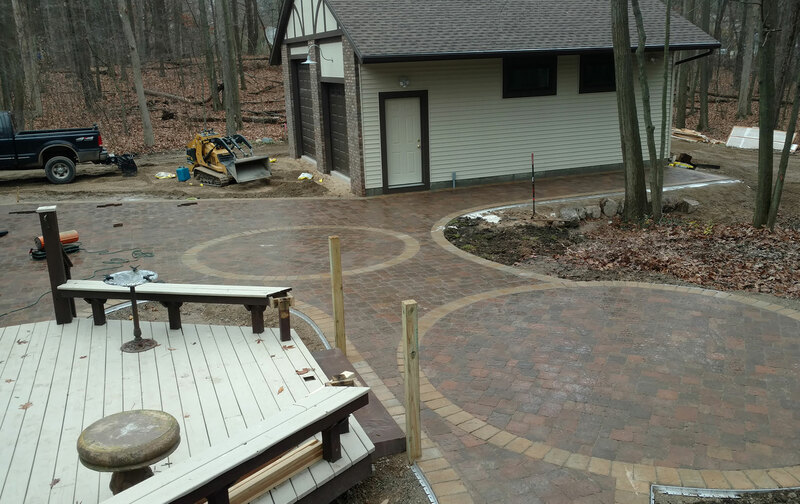 For more information about the Caledonia landscaping services at KV Landscapes, please contact us here or call us directly at 616.340.2463. 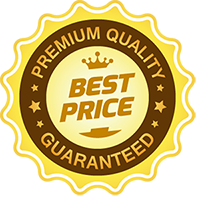 Their prices are very competitive and work is completed quickly and on schedule. 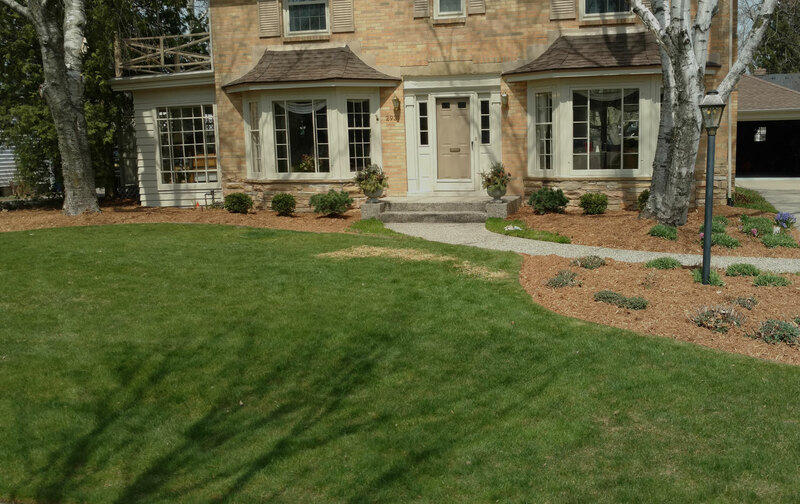 We will be using their service as we continue to landscape the remainder of our yard. 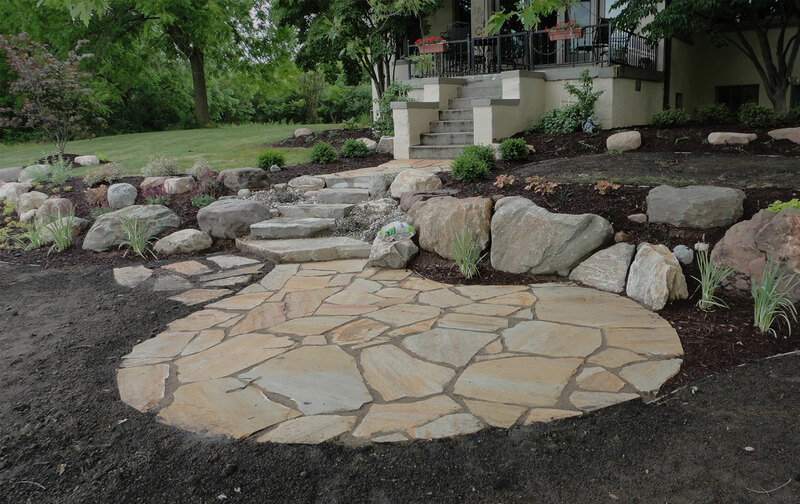 KV Landscapes has done design and execution at several of our homes. 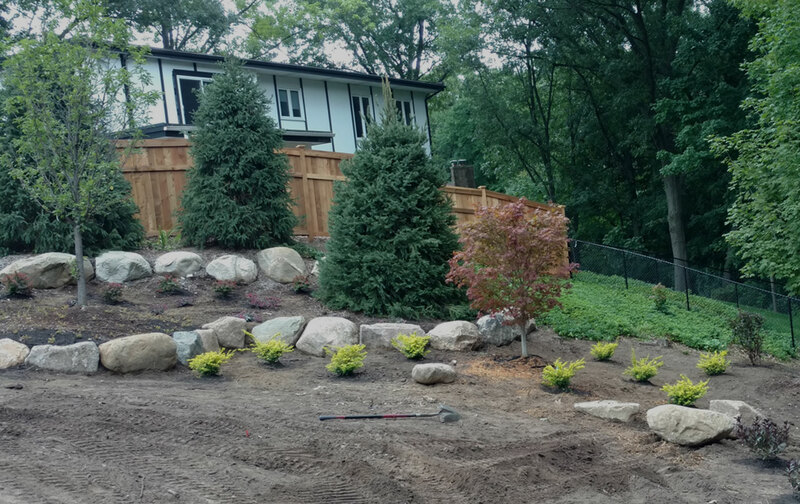 They have a keen eye for working with the lay of the land to make a visually appealing and complementary landscape that matches well with the surroundings.